This range hood features a high efficiency single centrifugal blower with resilient anti-vibration motor mounts. It also offers lights and blower that turn on or off either automatically by opening or closing the sliding drawer of the hood or manually according to the position of the switches. 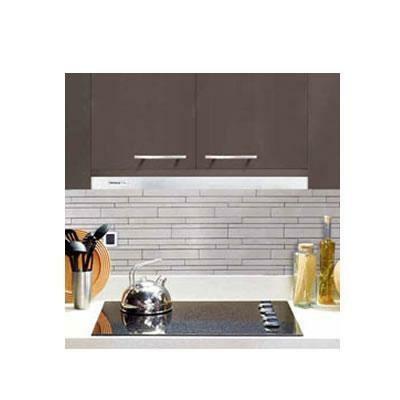 Additional Information Mounts into a cabinet above the cooktop with only a slim, sliding drawer visible to accent today’s contemporary and European-styled kitchens.